These are insane. If you’re spending January weekends with cosy nights in then these are an absolute must. 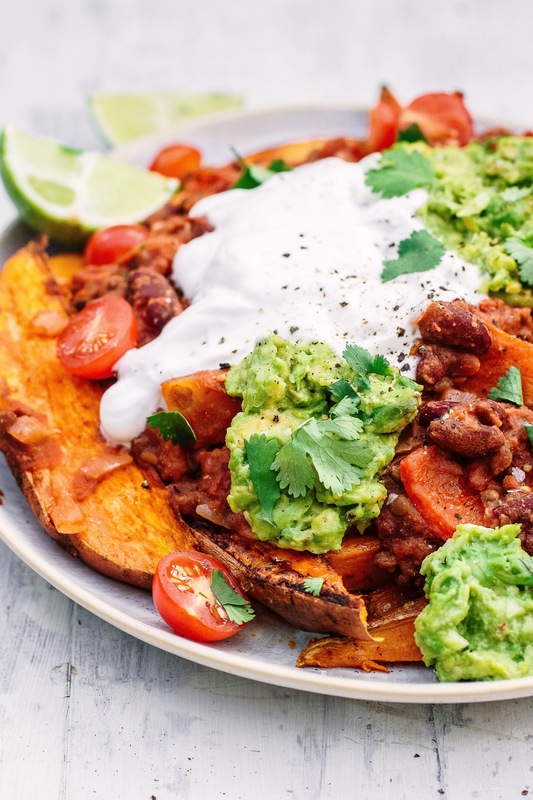 I chop my wedges really big and chunky so they act as a good spoon and I can’t get enough of the warming chili, it’s so perfect with the creamy guac and cool coconut yoghurt. It’s perfect for sharing and the leftovers are amazing warmed up- if there is any! Chop the sweet potatoes into large wedges, I leave the skin on so that they keep their shape better. Drizzle the olive oil evenly over them and sprinkle over the paprika. Season well with sea salt and pepper and toss them. Pop them in the oven for about 45 minutes, tossing in the middle, until tender and starting to crisp. When they’re in the oven, add the olive oil to a large pot on a medium heat, followed by the spices. Let them toast and sizzle a bit and then add the onion, peppers and chili to the pot. Cook for 5–10 minutes until the onion and peppers have softened. Add in the kidney beans and lentils and toss well, then add in the tinned tomatoes and stir. 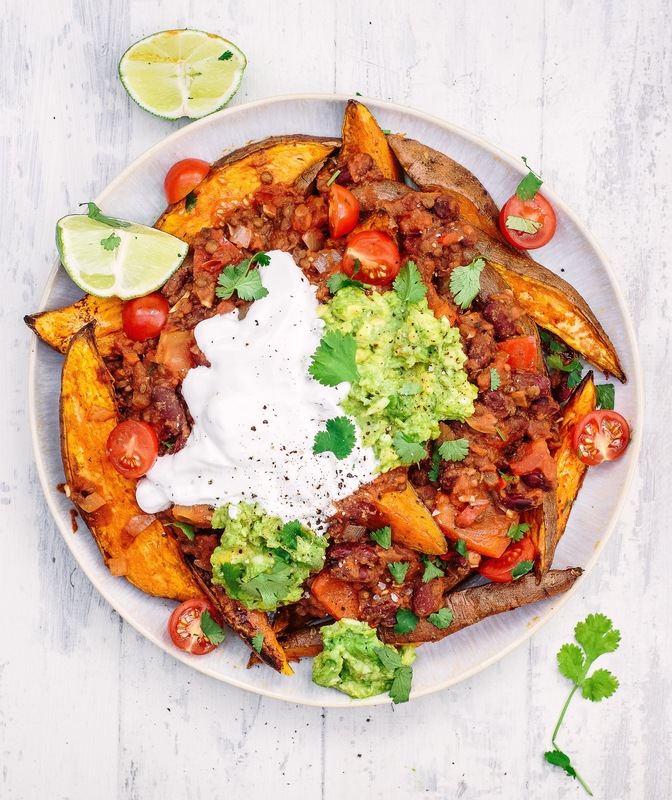 Let the chilli simmer for about 30 minutes*, if the sweet potatoes need longer, just keep the chilli on until they’re ready. To make the guacamole, mash together all of the ingredients with a fork until it’s your desired smoothness. Pile the chili on top of the sweet potatoes. Add the guac and a drizzle of coconut yoghurt. Then sprinkle on the coriander and jalapeños. I will be making this tonight. What lentils did you use? Green/ red split?